The calendar has turned to 2015, so I’m closing out 2014 with a final compilation of beer-drinking adventures not previously featured on my blog. 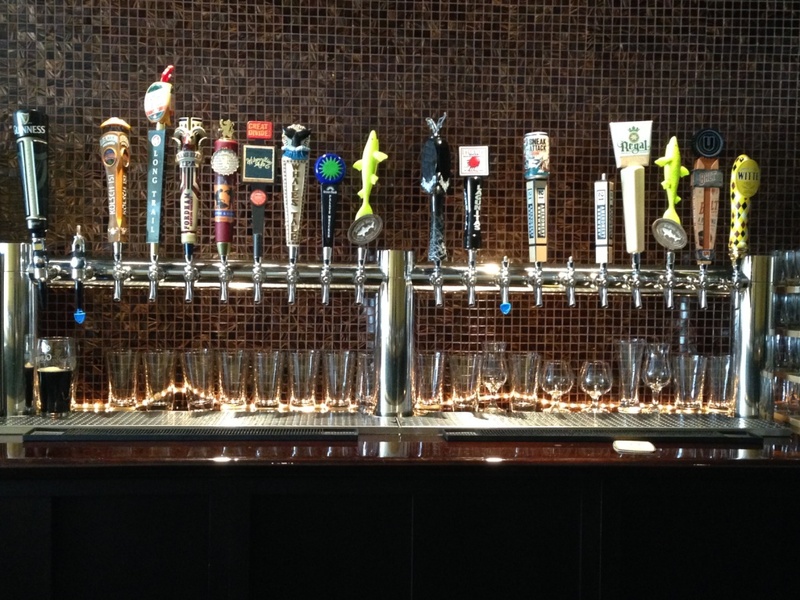 The Most Impressive Draft Selection in the Unlikeliest of Places: The Tap Room at Quench!, located in a nondescript strip mall in Silver Spring, Maryland near a McDonald’s, 7-11, and martial arts studio. 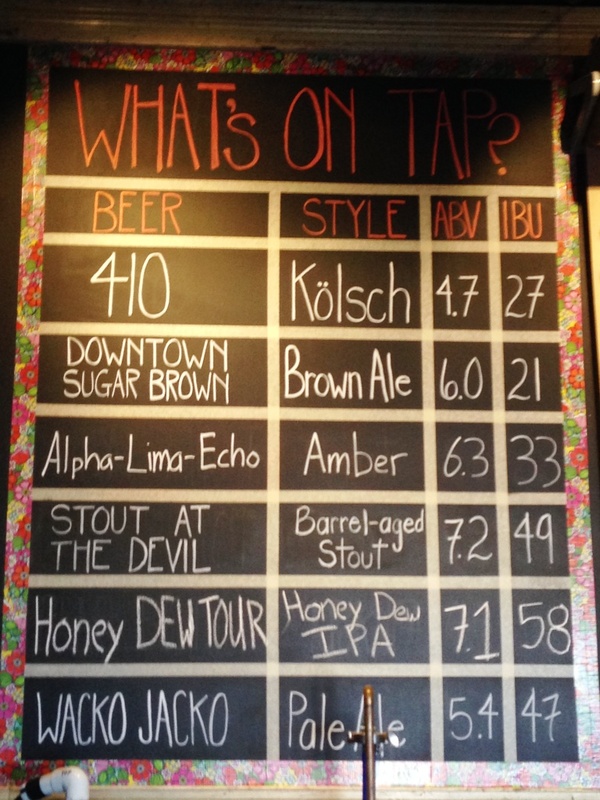 I don’t recall what I got in my 4-beer flight that spring day, but I know it was hard to choose with 20 beers on tap and even harder to choose my growler to go! 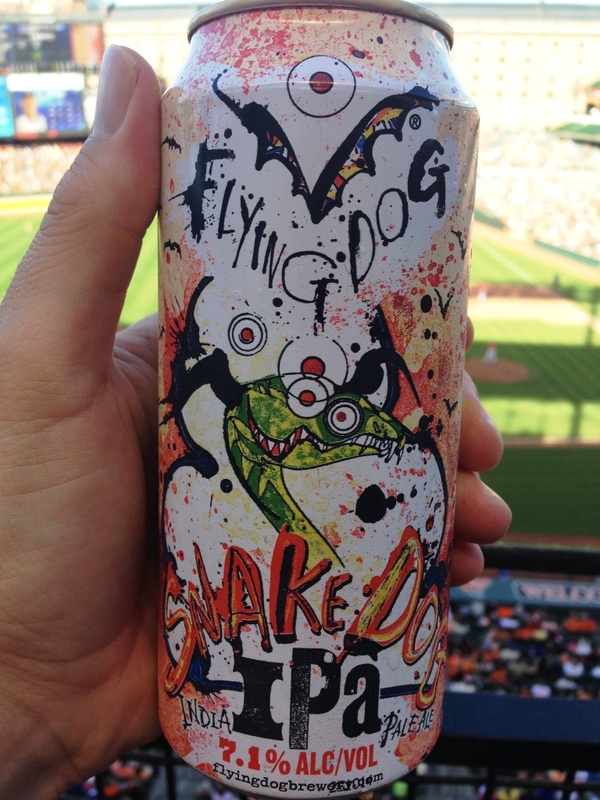 Best Tall Boy at a Baseball Game: The 16 ounce can of Snake Dog IPA from Flying Dog Brewery in Frederick, Maryland at the Orioles game last summer. 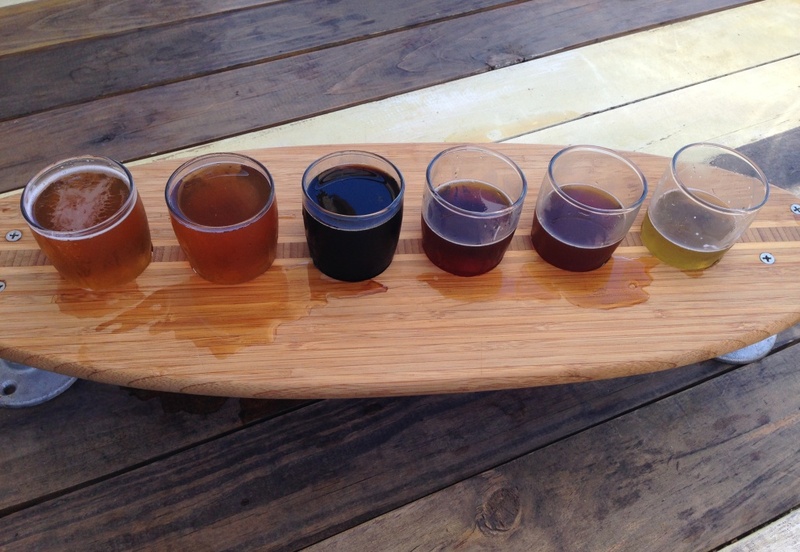 Best Brewpub with a View of the Beach: Backshore Brewing Company in Ocean City, Maryland, formerly known as Shorebilly Brewing Company. I visited this perfectly-located brewpub during a summer weekend camping trip to the Eastern Shore. 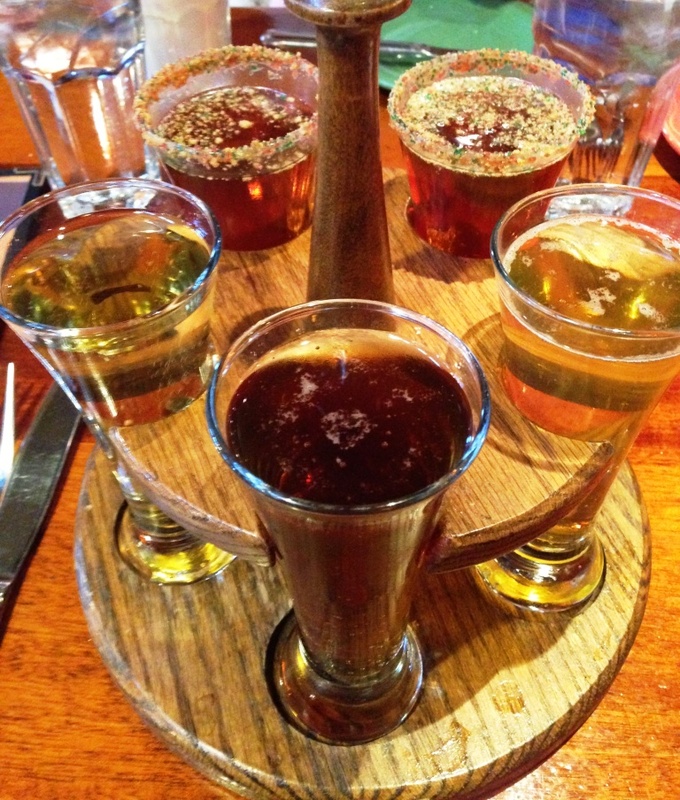 I love the flight served in a surf board! 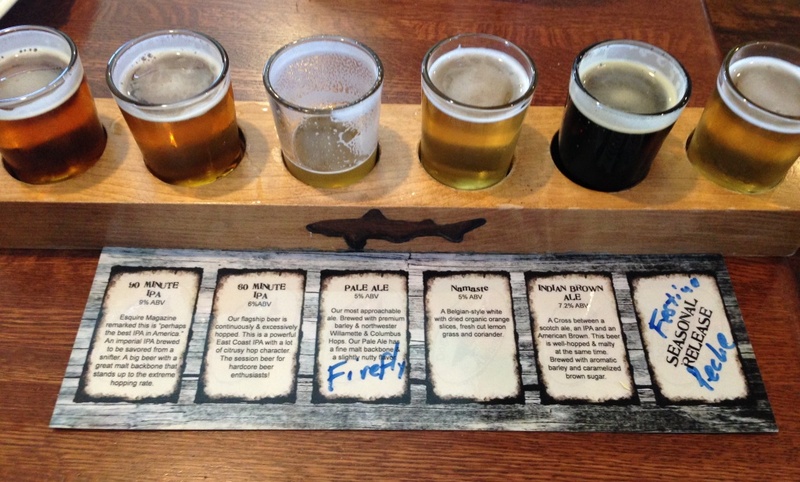 Best Local Place to Get a Fresh Dogfish Head Beer: Dogfish Head Alehouse in Gaithersburg, Maryland – one of my favorite places for beer and food in the DMV! Best Sandwich at a Brewpub: The Benski at Benny’s Pub in Hagerstown, Maryland, home of Antietam Brewery. The Benski is tender roast beef and cheddar cheese, topped with bacon, tomato, and french fries, with horseradish BBQ sauce served on a Kaiser roll. I first had the Benski during a 2013 visit to this locals pub, and I was happy to go back during a summer 2014 camping trip. 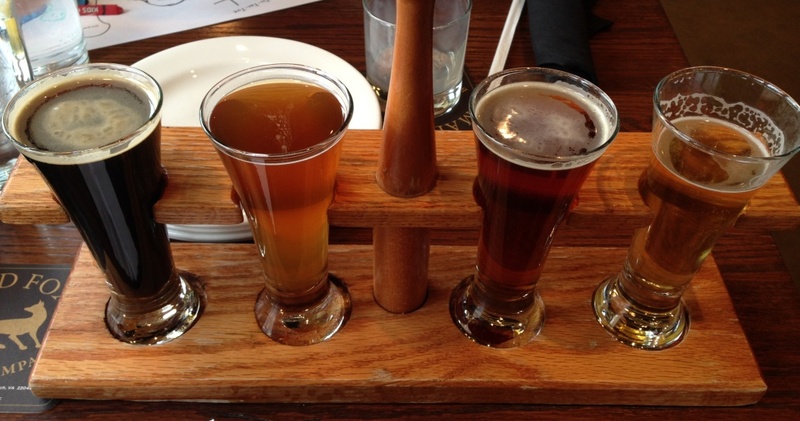 The menu at Benny’s is pub grub at its best, and the beer’s not bad either! Best Beer Garden in Baltimore: Leinenkugel’s Beer Garden, located in Power Plant Live. 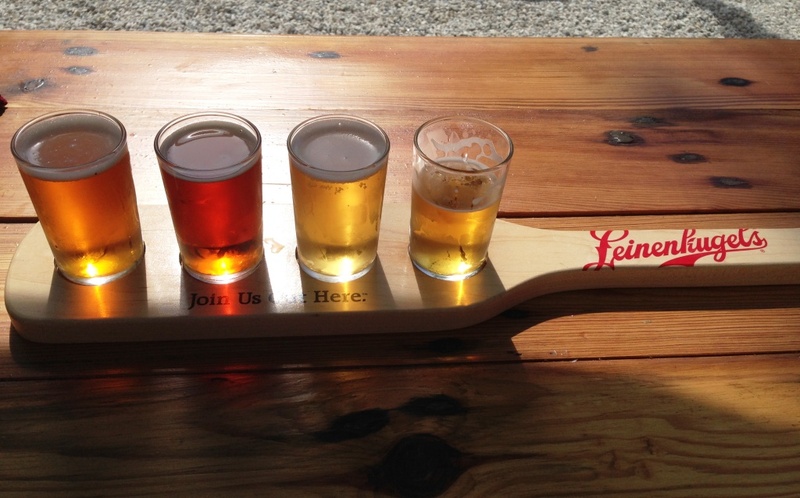 With 30 taps offering a range of Leinies and a solid guest draft line-up, this beer garden is the perfect spot to spend a summer day, as I did in August 2014. 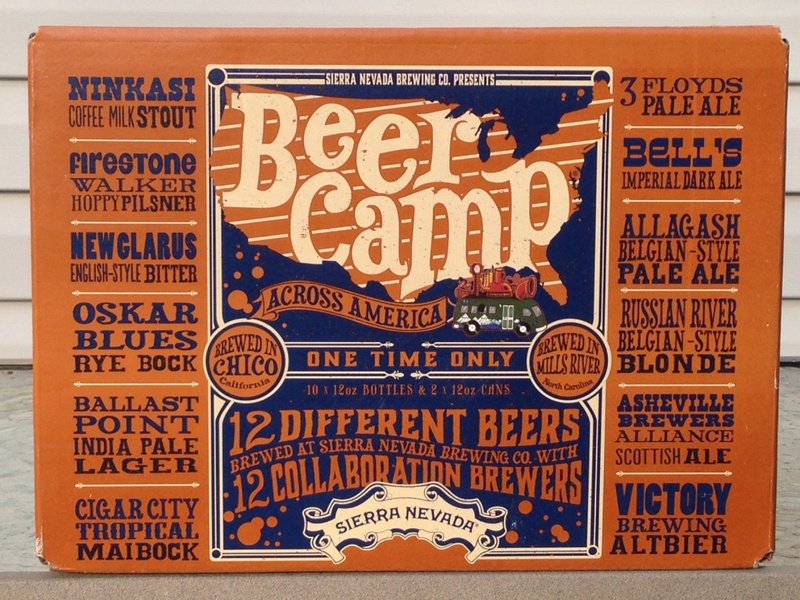 Best Mixed 12-Pack: Sierra Nevada Beer Camp Across America. 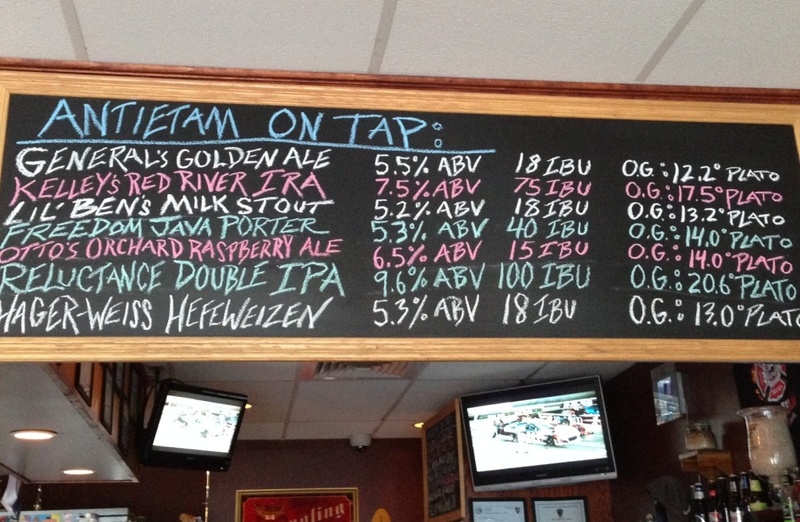 Sierra Nevada brewed 12 different collaboration beers with 12 different brewers. 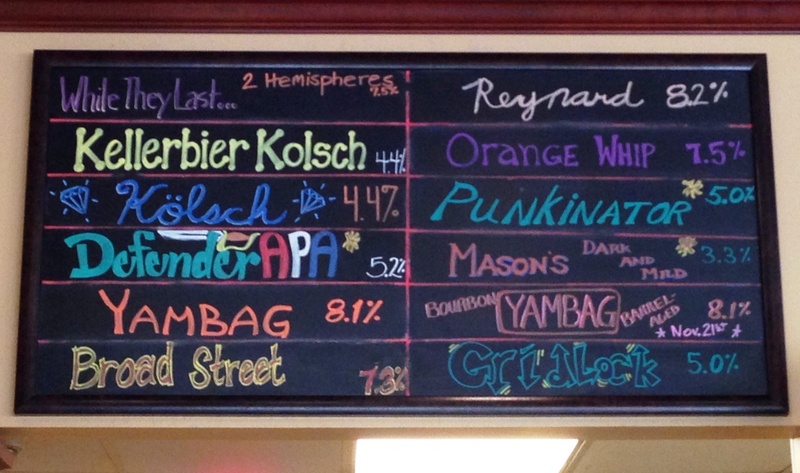 And not just any brewers, an all-star line-up of my favorite brewers like Cigar City and Allagash. They called it “an absurd collaboration 12-pack” and I’d have to agree — it was absurdly amazing! I’m thankful for the craft beer-loving friend who shared his 12-pack with me. 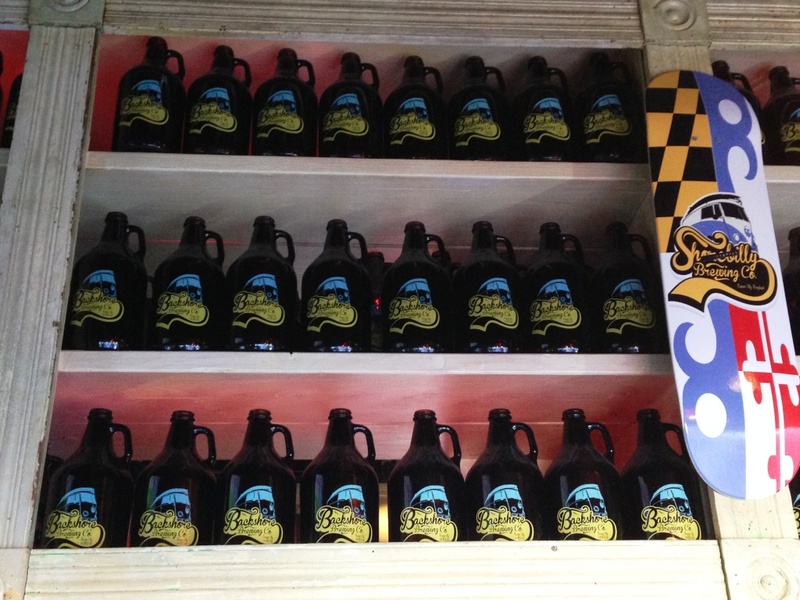 Best Re-Opening of a Brewpub: Growlers in Gaithersburg, Maryland. 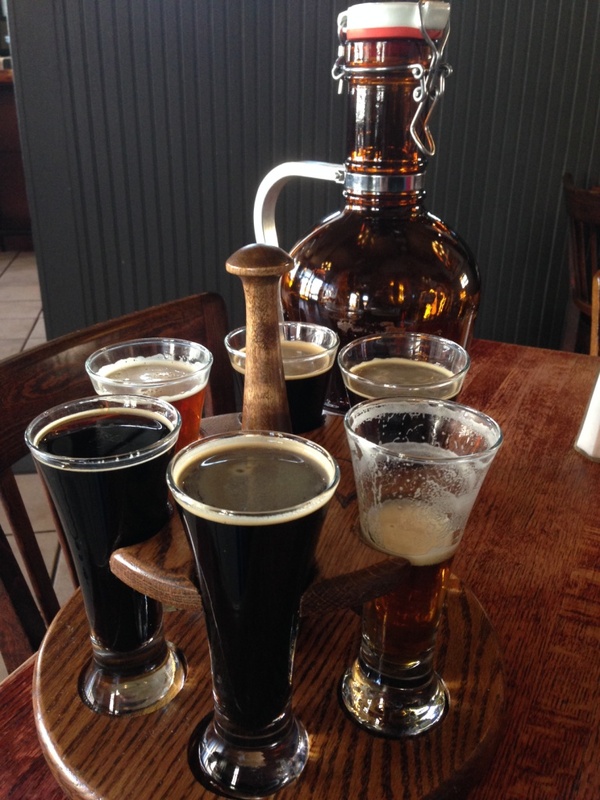 Growlers closed in January 2014 when a pipe burst and poured thousands of gallons of water into the restaurant. There was extensive structural damage and they used the opportunity to do a lot of renovations on the historic building. 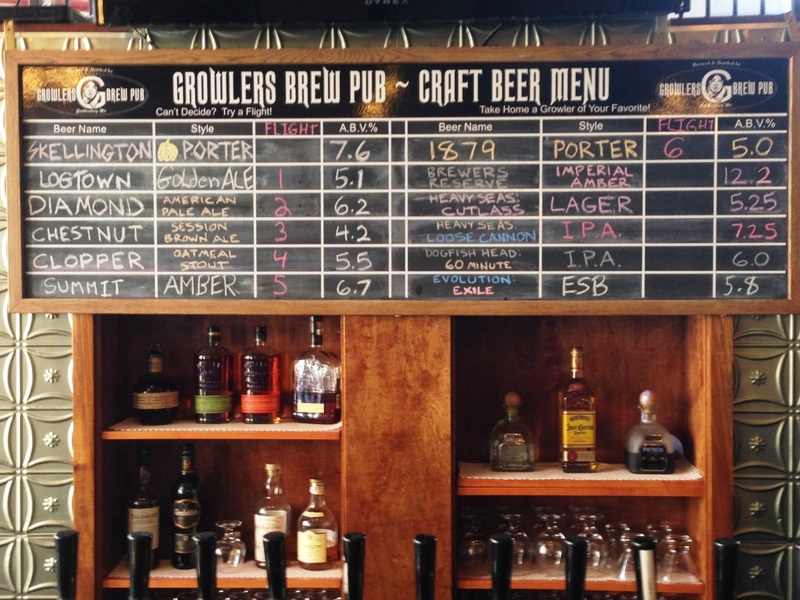 They finally reopened in August 2014 and I enjoyed a sampler and growler fill shortly thereafter. 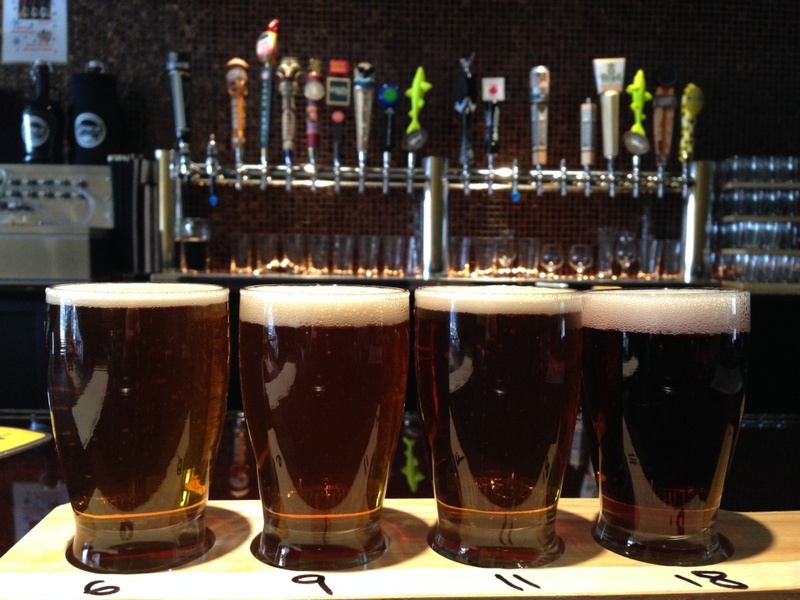 Best Place for Lunch on Black Friday: Mad Fox Brewing Company in Falls Church, Virginia for the Festivus Ale tapping. I love this English-style winter warmer and took a growler to go. Best Line-up of Winter Brew in my Beer Fridge: I took this panoramic photo of my beer fridge on my birthday, December 13, 2014. Happy birthday to me! Best Rim on a Beer Glass: The crumbled gingerbread cookie and Christmas sugar cookie sprinkles that lined the rim of my Happy Trails Christmas Ale at Sweetwater Tavern in Sterling, Virginia. I ordered the 5-beer sampler, but there were only four house beers on tap, so I doubled up on the delicious holiday brew. I liked it so much that I got a growler to go, which came with a small baggie of the cookie/sugar crumble to rim my pint glass at home.